I guess that means that the MSN Messenger website is down, then! Look what I found! I’ve been trying to login to MSN Messenger for a couple of hours now, without success and having tried to access the Service Status page and getting an error I checked out the main MSN Messenger website. And that’s what I saw, above. While trying to retrieve the URL: http://status.messenger.msn.com/Status.aspx? I guess that means there’s a problem. 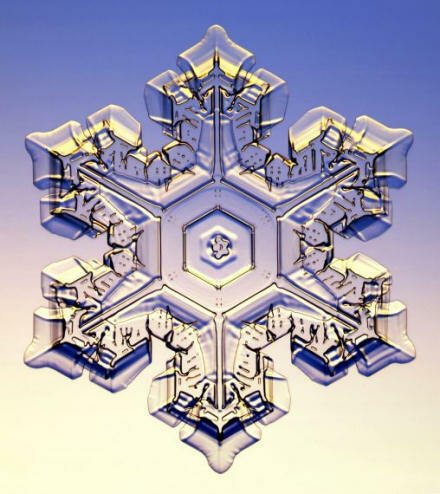 Photograph of a snow flake, from the Rasmussen & Libbrecht Collection. The snowflakes and crystals photograph collection is so beautiful, it almost makes me want to cry; I have the same sense of wonder and awe when looking at photographs of distant galaxies. These snow flakes have such exquisite and delicate beauty, and each one unique. It makes me want to praise God just looking at them. And we have the audacity to complain when it snows! Cartoon Church or Real Church? Cartoon from CartoonChurch.com. The “How you can use the cartoons” page says nothing about linking to them from a website. So here’s one of them! Not because I want to rip it off, but because I want you to go see the rest of them! I realised this evening that my link to the Technorati website didn’t make the leap from WordPress 1.2 sidebar (right!) to 1.5. I’ve rectified this now. Technorati is great. Amongst other things it will tell you what other blogs link yours. An example: what other blogs link mine. Our services are a bit dull and not many people turn up, we do not have a website as we do not really know how to make one, and there is not anyone available to speak to you at the moment as we are all quite busy, what with one thing and another. PS We need some money for the roof. 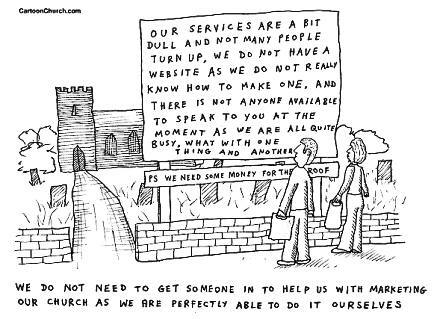 “We do not need to get someone in to help us with marketing our church as we are perfectly able to do it ourselves,” say the parishioners. That cartoon feels rather uncomfortably close to the truth, I’m sorry to say. Posted on Tuesday 6 December 2005 Monday 25 June 2018 Categories God ProjectTags God Project, humourLeave a comment on Cartoon Church or Real Church? Oh! So close! My rank on Technorati.com is currently 200,004. Oh! So close! Four more places and I’d be within the top 200,000 of the 22.4 million (22,400,000) sites that it ranks. Links are everything! My lovely friend Steve Lawson’s blog currently ranks at 101,523. My JIIG-CAL results print out from June 1985. 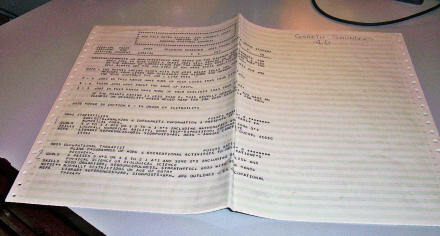 Yes, that’s geniune ye olde 128 line, tractor-feed computer paper. Thinking about what I’m going to do next I looked out my JIIG-CAL print out from 1985 to see what it had suggested that I do. JIIG-CAL stands for “Job Ideas & Information Generator – Computer Assisted Learning” and is a software application that helps students to work out, based on a simple questionnaire, what they would be good at career-wise. So there you go! I’d forgotten that it had suggested that I ought to become an Assistant Prison Governor. I wonder why only ‘Assistant’, what skills would I need to become a full Prison Gov’nor? I loved this skill required: “able to understand other people’s problems” … yeah, but we’ll lock them up anyway! What I find fascinating, and which I think probably does still apply to me, is that I seem to have been suggested jobs which are either entirely people-oriented (occupational therapist, social worker, asst prison gov’nor) or are predominantly theoretical (statistician, mathematician, physicist). Hmm… head or heart? Friday 20 June 2008 I’m now featured on the BBC News Scotland website. Check out this new blog post: Jiig-Cal and BBC Scotland, which includes a video blog post by me using Seesmic.